The Equal Employment Opportunity Commission is a federal agency charged with the enforcement of our federal employment laws that protect against discrimination based upon age, disability, race, gender and retaliation. On March 25, 2011, the Equal Employment Opportunity Commission issued its final regulations to the Americans With Disabilities Act Amendments Act (ADAAA). Under the Americans With Disabilities Act, an individual will only receive protections of this law, such as reasonable accommodations and the prohibition of disability discrimination, if he or she has a “disability” as defined by the statute and regulations. An individual under the Americans With Disabilities Act has a “disability” if he or she is substantially limited in one or more major life activities. Prior to these amendments, individuals with diabetes were often not covered by the Americans With Disabilities Act. 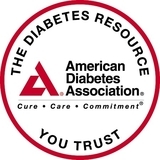 As a result of many court decisions denying rights under the Americans With Disabilities Act, the American Diabetes Association along with other organizations lobbied Congress for important changes to this law. Under the amended law, the Americans With Disabilities Act almost always covers individuals with diabetes based upon limitations in endocrine functioning. The definition of disability under the Americans With Disabilities Act is now significantly broader and offers increased protections against employment discrimination for individuals with diabetes. However, the definitions of disability can vary based upon different laws. For instance, many short-term disability and long-term disability plans divide the definition of disability into the inability to perform one's “own occupation” and the inability to perform “any occupation”. Many employer sponsored disability plans provide 60% of monthly income as a disability benefit for a period of 24 months based upon a definition of “total disability”, the inability of the employee to perform the substantial and material duties of his or her “own occupation”. This first part of this definition is significantly easier to prove than the establishment of the employee's inability to perform the substantial and material duties of “any occupation”. After this initial 24 month period, an individual may continue to receive disability benefits through age 65 or normal retirement age if he or she can establish through medical and vocational evidence the inability to perform “any occupation”. While this area of employer sponsored disability benefits is governed by a federal law called the Employee Retirement Income Security Act (“ERISA”), the definitions of disability vary depending on each individual policy. As a result, it is necessary to review the summary plan description (SPD) or the actual policy that is usually administered through an insurance company such as UNUM, Liberty Mutual, Cigna, Hartford- to name only a few. ERISA establishes certain procedural protections for individual's applying for disability benefits such as the right to receive the claims file within 30 days and without charge. However, the initial denial of disability benefits must be appealed through a written document to the insurance company within 180 days. If the denial is not properly appealed, the individual may be permanently denied additional disability benefits without the right to file a complaint in federal court. Similar to the “any occupation” definition of disability under an employer sponsored long-term disability plan, the Social Security Administration defines disability based upon the inability to perform substantial gainful activity (SGA). The Social Security Administration defines substantial gainful activity based upon a five-step evaluation process. To be eligible for Social Security disability benefits, an individual applying for benefits must 1) not earn more than $1,000 a month, 2) have a “severe” impairment that interferes with basic work-related activities, 3) establish one of the conditions included in the Listing of Impairments published by the SSA, 4) if an individual does not meet one of the Listings, then SSA must decide if an individual is capable of performing a job performed in the past 15 years; and 5) decide whether an individual can perform any work based upon the individual's age, education and past work experience. It is important to note that SSA may award benefits if the individual can perform some work, but only on a part-time basis. Additionally, if the individual is age 55 or older, the SSA may award benefits if the individual is only capable of performing sedentary or light work. In summary, the definition of disability varies upon the particular federal statute and regulations. Under the employment discrimination laws, disability is defined differently than employee benefit laws such as ERISA and the Social Security Act. For more information, please view www.eeoc.gov, www.ssa.gov, and www.diabetes.org/attorneymaterials. To speak with an attorney, please call our office at 1-888-967-5674.